Gorgeous Church Hill Home! Investment Opportunity! Close to MCV and VCU! Gorgeous Church Hill Home! 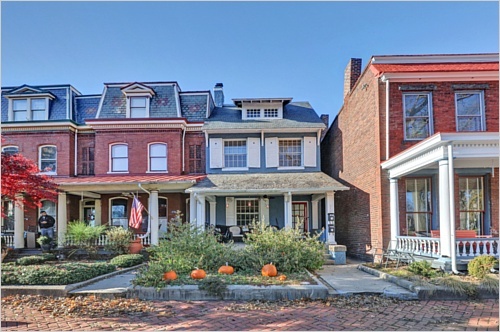 - Historic row home sitting right on gorgeous Chimborazo Park! This spacious home is one-of-a-kind & has an amazing view of the park! The primary residence is perfect for a big family while there's also spacious and separate living quarters in the back which would be perfect or a ''mother-in-law''suite OR as an investment with tenants! 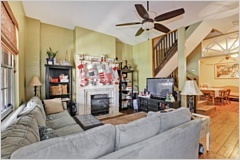 Inside, you will find beautiful living areas with hardwoods, multiple fireplaces (decorative only), and decorative glass. 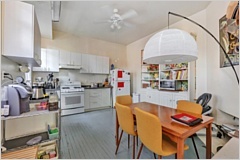 Downstairs is a nicely-remodeled English kitchen with stainless steel appliances and beautiful pine cabinetry, an eating area and a utility room. Upstairs are 2 bdrms w F/Ps and a full bathroom. 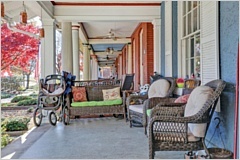 On the 4th floor are 2 additional bdrms (one with private porch/balcony) and a full bath. 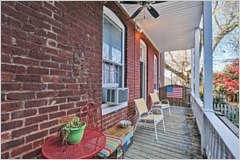 The back apartment has 2 bedrooms and 2 baths with use of the back fenced in courtyard! Fireplaces throughout including chimneys and flues convey ''as is''. Plenty of parking on semi-private Street. 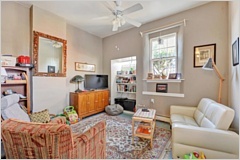 Close to downtown, MCV, VCU, bus stop, freeways, trendy Church Hill restaurants and cafes. Fabulous Location! 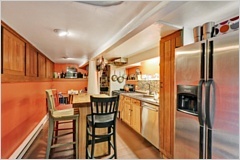 Two kitchens - One an English Kitchen!